This project is from last fall, but it’s so perfectly summer. 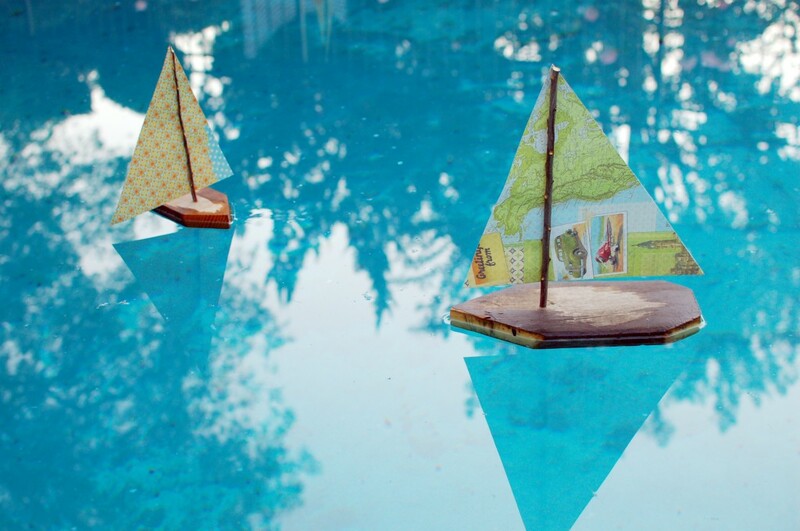 We designed and built these wooden sailboats with colorful paper sails to decorate the pool in the background of my sister-in-law’s nautical baby shower. Now, as we approach yet another hot and sunny weekend, swimming pools and boating are both on my mind! The supplies were modest — old 2×4′s, branches trimmed from a backyard tree and leftover scrapbook paper — but the results were so sweet! 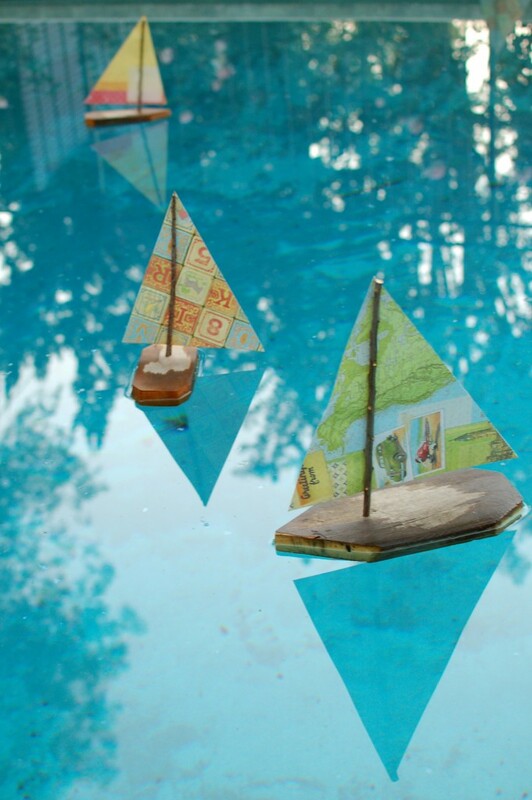 Spread throughout the pool (with anchors fashioned from random metal objects), the dozen or so sailboats brought charm to the otherwise undecorated swimming pool. Now several of the boats decorate the shelves of our nephew’s nautical nursery! 1. Make two angled cuts on the 2×4 to give it a sharp point on one end. 2. Barely cut off the remaining two corners of the 2×4 to form the back of boat. 3. 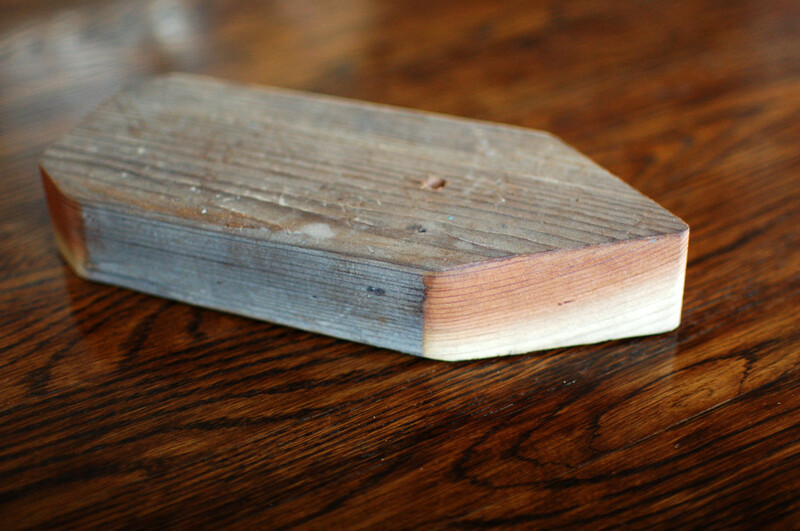 If desired, round the cut corners using a sander. 4. Drill a hole 3/4 of an inch deep into the top of the 2×4 about a third of the way from the front of the boat. The hole should be just wider than the width of one of the branches. 5. 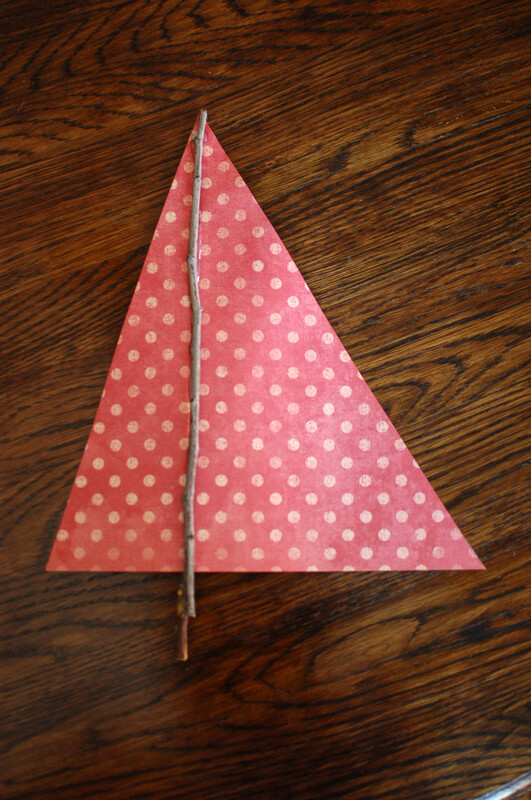 Cut the scrapbook paper into a large triangle, 9 1/2 inches tall and 9 inches. We didn’t want the mast in the center of the sail so rather than make a symmetric triangle, we put the mast off-centered, about 3 inches from the front edge of the sail. 6. Cut one branch to be 9 3/4 inches long and the other 10 3/4 inches long. 7. 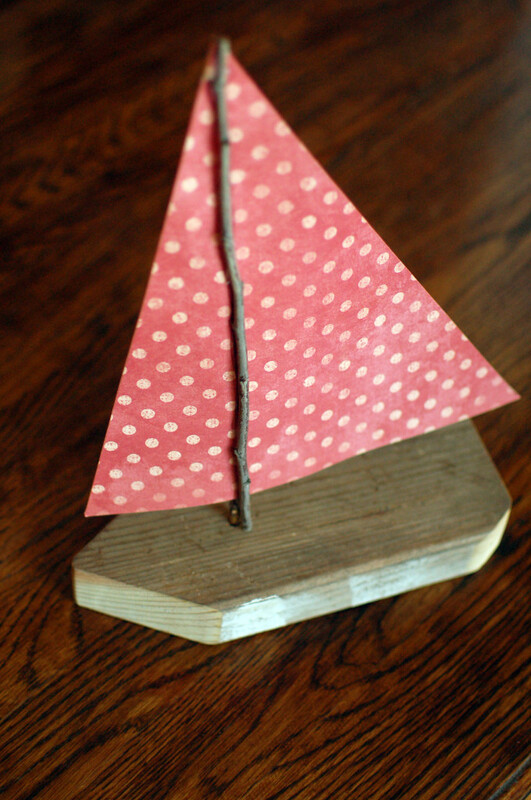 Hot glue the branches to each side of the paper sail, with the excess wood sticking out below the bottom of the sail. 8. Put a little wood glue into the hole and insert the longer branch into the boat. 9. If you want to keep the boat from drifting, tie some fishing line to a heavy object and staple it (via staple gun) to the bottom of the boat. 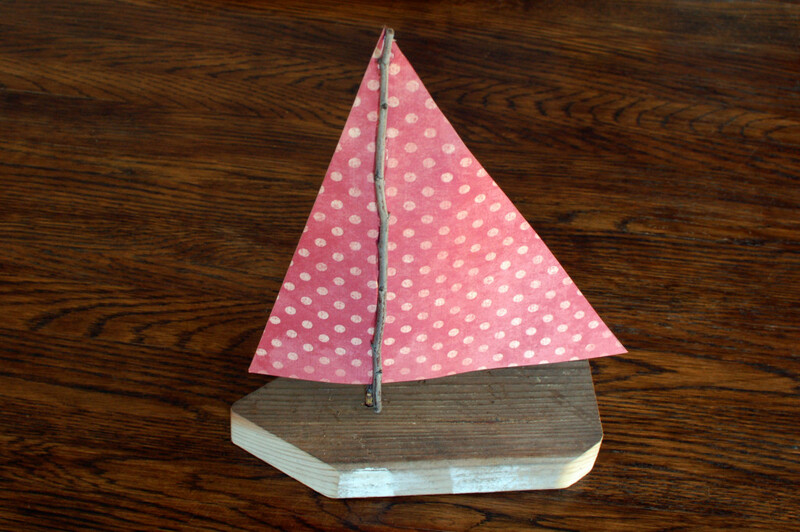 The weight will serve as an anchor and keep the boat from drifting too far. Enjoy the season of pool parties and BBQs! These are adorable! They remind me of the little toy boats you can rent for kids to push around fountains at parks in Paris, which usually come with a pushing stick. Thanks with regard to giving many of these fantastic subject matter.